In May we announced that we are ending support for the Safe Browsing protocol version 1 on December 1 in order to focus our resources on the new version 2 API and the lookup service. These new APIs provide simpler and more efficient access to the same data, and they use significantly less bandwidth. If you haven't yet migrated off of the version 1 API, we encourage you to do so as soon as possible. Our earlier post contains links to documentation for the new protocol version and other resources to help you make the transition smoothly. After December 1, we will remove all data from the version 1 API list to ensure that any remaining clients do not have false positives in their database. After January 1, 2012, we will turn off the version 1 service completely, and all requests will return a 404 error. Thanks for your cooperation, and enjoy using the next generation of Safe Browsing. Today we received reports of attempted SSL man-in-the-middle (MITM) attacks against Google users, whereby someone tried to get between them and encrypted Google services. The people affected were primarily located in Iran. The attacker used a fraudulent SSL certificate issued by DigiNotar, a root certificate authority that should not issue certificates for Google (and has since revoked it). 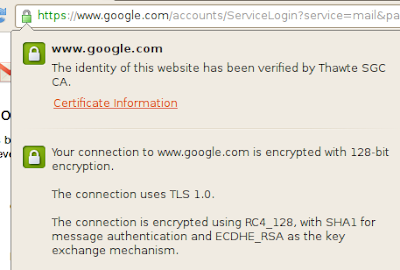 Google Chrome users were protected from this attack because Chrome was able to detect the fraudulent certificate. To further protect the safety and privacy of our users, we plan to disable the DigiNotar certificate authority in Chrome while investigations continue. Mozilla also moved quickly to protect its users. This means that Chrome and Firefox users will receive alerts if they try to visit websites that use DigiNotar certificates. Microsoft also has taken prompt action. To help deter unwanted surveillance, we recommend that users, especially those in Iran, keep their web browsers and operating systems up to date and pay attention to web browser security warnings. Update Aug 30: Added information about Microsoft's response. Update Sept 3: Our top priority is to protect the privacy and security of our users. Based on the findings and decision of the Dutch government, as well as conversations with other browser makers, we have decided to reject all of the Certificate Authorities operated by DigiNotar. We encourage DigiNotar to provide a complete analysis of the situation. Below are a few of the research highlights, but we recommend reviewing the full report for details on our methodology and measurements. The analysis covers approximately 160 million web pages hosted on approximately 8 million sites. Social engineering is a malware distribution mechanism that relies on tricking a user into installing malware. Typically, the malware is disguised as an anti-virus product or browser plugin. Social engineering has increased in frequency significantly and is still rising. However, it’s important to keep this growth in perspective — sites that rely on social engineering comprise only 2% of all sites that distribute malware. Far more common than social engineering, malicious pages install malware after exploiting a vulnerability in the browser or a plugin. This type of infection is often called a drive-by download. Our analysis of which vulnerabilities are actively being exploited over time shows that adversaries quickly switch to new and more reliable exploits to help avoid detection. The graph below shows the ratio of exploits targeting a vulnerability in one CVE to all exploits over time. Most vulnerabilities are exploited only for a short period of time until new vulnerabilities become available. A prominent exception is the MDAC vulnerability which is present in most exploit kits. Malware distributors are increasingly relying upon ‘cloaking’ as a technique to evade detection. The concept behind cloaking is simple: serve benign content to detection systems, but serve malicious content to normal web page visitors. Over the years, we have seen more malicious sites engaging in IP cloaking. To bypass the cloaking defense, we run our scanners in different ways to mimic regular user traffic. Our report analyzed four years of data to uncover trends in malware distribution on the web, and it demonstrates the ongoing tension between malware distributors and malware detectors. To help protect Internet users, even those who don’t use Google, we have updated the Safe Browsing infrastructure over the years to incorporate many state-of-the-art malware detection technologies. We hope the findings outlined in this report will help other researchers in this area and raise awareness of some of the current challenges. One of the exciting things about working on security at Google is that you have a lot of compute horsepower available if you need it. This is very useful if you’re looking to fuzz something, and especially if you’re going to use modern fuzzing techniques. Using these techniques and large amounts of compute power, we’ve found hundreds of bugs in our own code, including Chrome components such as WebKit and the PDF viewer. We recently decided to apply the same techniques to fuzz Adobe’s Flash Player, which we include with Chrome in partnership with Adobe. A good overview of some modern techniques can be read in this presentation. For the purposes of fuzzing Flash, we mainly relied on “corpus distillation”. This is a technique whereby you locate a large number of sample files for the format at hand (SWF in this case). You then see which areas of code are reached by each of the sample files. Finally, you run an algorithm to generate a minimal set of sample files that achieves the code coverage of the full set. 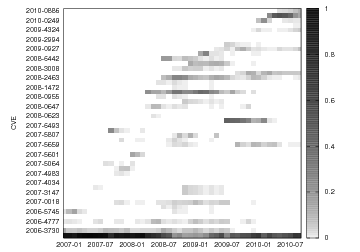 This calculated set of files is a great basis for fuzzing: a manageable number of files that exercise lots of unusual code paths. 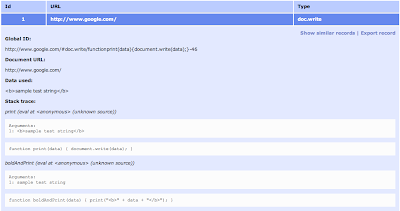 What does corpus distillation look like at Google scale? Turns out we have a large index of the web, so we cranked through 20 terabytes of SWF file downloads followed by 1 week of run time on 2,000 CPU cores to calculate the minimal set of about 20,000 files. Finally, those same 2,000 cores plus 3 more weeks of runtime were put to good work mutating the files in the minimal set (bitflipping, etc.) and generating crash cases. These crash cases included an interesting range of vulnerability categories, including buffer overflows, integer overflows, use-after-frees and object type confusions. The initial run of the ongoing effort resulted in about 400 unique crash signatures, which were logged as 106 individual security bugs following Adobe's initial triage. As these bugs were resolved, many were identified as duplicates that weren't caught during the initial triage. A unique crash signature does not always indicate a unique bug. Since Adobe has access to symbols and sources, they were able to group similar crashes to perform root cause analysis reducing the actual number of changes to the code. No analysis was performed to determine how many of the identified crashes were actually exploitable. However, each crash was treated as though it were potentially exploitable and addressed by Adobe. In the final analysis, the Flash Player update Adobe shipped earlier this week contained about 80 code changes to fix these bugs. Commandeering massive resource to improve security is rewarding on its own, but the real highlight of this exercise has been Adobe’s response. The Flash patch earlier this week fixes these bugs and incorporates UIPI protections for the Flash Player sandbox in Chrome which Justin Schuh contributed assistance on developing. Fixing so many issues in such a short time frame shows a real commitment to security from Adobe, for which we are grateful. Earlier this year, we introduced a security feature called 2-step verification that helps protect your Google Account from threats like password compromise and identity theft. By entering a one-time verification code from your phone after you type your password, you can make it much tougher for an unauthorized person to gain access to your account. People have told us how much they like the feature, which is why we're thrilled to offer 2-step verification in 40 languages and in more than 150 countries. There’s never been a better time to set it up: Examples in the news of password theft and data breaches constantly remind us to stay on our toes and take advantage of tools to properly secure our valuable online information. Email, social networking and other online accounts still get compromised today, but 2-step verification cuts those risks significantly. We recommend investing some time in keeping your information safe by watching our 2-step verification video to learn how to quickly increase your Google Account’s resistance to common problems like reused passwords and malware and phishing scams. Wherever you are in the world, sign up for 2-step verification and help keep yourself one step ahead of the bad guys. To learn more about online safety tips and resources, visit our ongoing security blog series, and review a couple of simple tips and tricks for online security. Also, watch our video about five easy ways to help you stay safe and secure as you browse. Update on 12/1/11: We recently made 2-step verification available for users in even more places, including Iran, Japan, Liberia, Myanmar (Burma), Sudan and Syria. 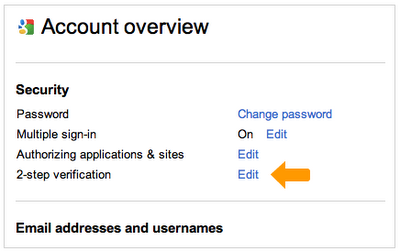 This enhanced security feature for Google Accounts is now available in more than 175 countries. The Internet brings remarkable benefits to society. Unfortunately, some people use it for harm and their own gain at the expense of others. We believe in the power of the web and information, and we work every day to detect potential abuse of our services and ward off attacks. This particular malware causes infected computers to send traffic to Google through a small number of intermediary servers called “proxies.” We hope that by taking steps to notify users whose traffic is coming through these proxies, we can help them update their antivirus software and remove the infections. We hope to use the knowledge we’ve gathered to assist as many people as possible. In case our notice doesn’t reach everyone directly, you can run a system scan on your computer yourself by following the steps in our Help Center article. The malware appears to have gotten onto users' computers from one of roughly a hundred variants of fake antivirus, or "fake AV" software that has been in circulation for a while. We aren't aware of a common name for the malware. We believe a couple million machines are affected by this malware. We've heard from a number of you that you're thinking about the potential for an attacker to copy our notice and attempt to point users to a dangerous site instead. It's a good security practice to be cautious about the links you click, so the spirit of those comments is spot-on. We thought about this, too, which is why the notice appears only at the top of our search results page. Falsifying the message on this page would require prior compromise of that computer, so the notice is not a risk to additional users. In the meantime, we've been able to successfully warn hundreds of thousands of users that their computer is infected. These are people who otherwise may never have known. Every day modern web applications are becoming increasingly sophisticated, and as their complexity grows so does their attack surface. Previously we introduced open source tools such as Skipfish and Ratproxy to assist developers in understanding and securing these applications. Easy to use: With built-in security heuristics and nested views, both advanced and less experienced developers and testers can quickly spot areas of the application being tested that need more attention. Easier collaboration: Enables developers to easily export and share captured DOM modifications while troubleshooting an issue with their peers. DOM Snitch is intended for use by developers, testers, and security researchers alike. Click here to download DOM Snitch. To read the documentation, please visit this page. *Developers and testers should be aware that DOM Snitch is currently experimental. We do not guarantee that it will work flawlessly for all web applications. More details on known issues can be found here or in the project’s issues tracker. Over the past few months, Google’s systems have detected a number of bulk subdomain providers becoming targets of abuse by malware distributors. Bulk subdomain providers register a domain name, like example.com, and then sell subdomains of this domain name, like subdomain.example.com. Subdomains are often registered by the thousands at one time and are used to distribute malware and fake anti-virus products on the web. In some cases our malware scanners have found more than 50,000 malware domains from a single bulk provider. Google’s automated malware scanning systems detect sites that distribute malware. To help protect users we recently modified those systems to identify bulk subdomain services which are being abused. In some severe cases our systems may now flag the whole bulk domain. Webmaster Tools lets webmasters find examples of URLs under their domains that may be distributing malware. Google Safe Browsing Alerts for Network Administrators allows owners of Autonomous Systems to get notifications for hosts that are involved in malware delivery. If you are the owner of a website that is hosted in a bulk subdomain service, please consider contacting your bulk subdomain provider if Google SafeBrowsing shows a warning for your site. The top-level bulk subdomain may be a target of abuse. Bulk subdomain service providers may use Google’s tools to help identify and disable abusive subdomains and accounts. A “mixed scripting” vulnerability is caused when a page served over HTTPS loads a script, CSS, or plug-in resource over HTTP. A man-in-the-middle attacker (such as someone on the same wireless network) can typically intercept the HTTP resource load and gain full access to the website loading the resource. It’s often as bad as if the web page hadn’t used HTTPS at all. A less severe but similar problem -- let’s call it a “mixed display” vulnerability -- is caused when a page served over HTTPS loads an image, iFrame, or font over HTTP. A man-in-the-middle attacker can again intercept the HTTP resource load but normally can only affect the appearance of the page. Your website won’t work as well in other modern browsers (such as IE9 or FF4) due to click-throughs and ugly modal dialogs. You may have a security vulnerability that could compromise the entire HTTPS connection. 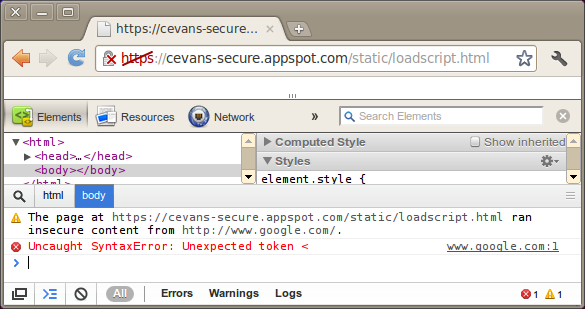 As of the first Chromium 14 canary release (14.0.785.0), we are trialing blocking mixed scripting conditions by default. We’ll be carefully listening to feedback; please leave it on this Chromium bug. As a user, you can choose to reload the website without the block applied. Ideally, in the longer term, the infobar will not have the option for the user to bypass it. Our experience shows that some subset of users will attempt to “click through” even the scariest of warnings -- despite the hazards that can follow. You can also reload the page with the “Network” tab active and look for requests that were issued over the http:// protocol. It’s worth noting that the entire origin is poisoned when mixed scripting occurs in it, so you’ll want to look at the console for all tabs that reference the indicated origin. To clear the error, all tabs that reference the poisoned origin need to be closed. For particularly tough cases where it’s not clear how the origin became poisoned, you can also enable debugging to the command-line console to see the relevant warning message. 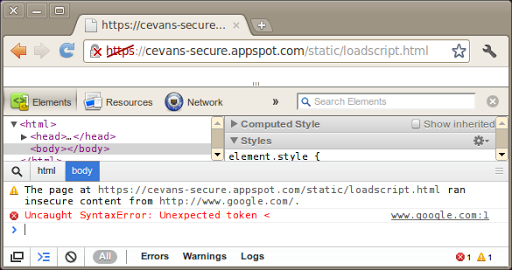 The latest Chromium 13 dev channel build (13.0.782.10) has a command line flag: --no-running-insecure-content. We recommend that website owners and advanced users run with this flag, so we can all help mop up errant sites. (We also have the flag --no-displaying-insecure-content for the less serious class of mixed content issues; there are no plans to block this by default in Chromium 14). The Chromium 14 release will come with an inverse flag: --allow-running-insecure-content, as a convenience for users and admins who have internal applications without immediate fixes for these errors. Thanks for helping us push website security forward as a community. Until this class of bug is stamped out, Chromium has your back. The new version of Google Chrome is not only speedier and simpler but it also improves user security by automatically disabling out-of-date, vulnerable browser plugins. As browsers get better at auto-updating, out-of-date plugins are becoming the weakest link against malware attacks. Thousands of web sites are compromised every week, turning those sites into malware distribution vectors by actively exploiting out-of-date plugins that run in the browser. Simply visiting one of these sites is usually enough to get your computer infected. Keeping all of your plugins up-to-date with the latest security fixes can be a hassle, so a while ago we started using our 20% time to develop a solution. The initial implementation was a Chrome extension called “SecBrowsing,” which kept track of the latest plugin versions and encouraged users to update accordingly. The extension helped us gather valuable knowledge about plugins, and we started working with the Chrome team to build the feature right inside the browser. With the latest version of Chrome, users will be automatically warned about any out-of-date plugins. If you run into a page that requires a plugin that’s not current, it won’t run by default. Instead, you’ll see a message that will help you get the latest, most secure version of the plugin. An example of this message is below, and you can read more about the feature at the Chromium blog. We’ve noticed some highly targeted and apparently politically motivated attacks against our users. We believe activists may have been a specific target. We’ve also seen attacks against users of another popular social site. All these attacks abuse a publicly-disclosed MHTML vulnerability for which an exploit was publicly posted in January 2011. Users browsing with the Internet Explorer browser are affected. For now, we recommend concerned users and corporations seriously consider deploying Microsoft’s temporary Fixit to block this attack until an official patch is available. To help protect users of our services, we have deployed various server-side defenses to make the MHTML vulnerability harder to exploit. That said, these are not tenable long-term solutions, and we can’t guarantee them to be 100% reliable or comprehensive. We’re working with Microsoft to develop a comprehensive solution for this issue. Has anyone you know ever lost control of an email account and inadvertently sent spam—or worse—to their friends and family? There are plenty of examples (like the classic "Mugged in London" scam) that demonstrate why it's important to take steps to help secure your activities online. Your Gmail account, your photos, your private documents—if you reuse the same password on multiple sites and one of those sites gets hacked, or your password is conned out of you directly through a phishing scam, it can be used to access some of your most closely-held information. Most of us are used to entrusting our information to a password, but we know that some of you are looking for something stronger. 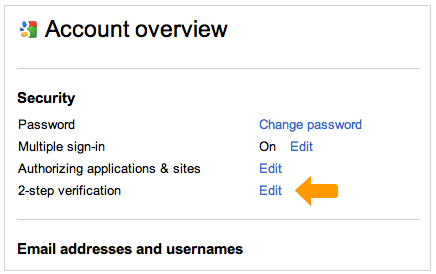 As we announced to our Google Apps customers a few months ago, we've developed an advanced opt-in security feature called 2-step verification that makes your Google Account significantly more secure by helping to verify that you're the real owner of your account. Now it's time to offer the same advanced protection to all of our users. Take your time to carefully set up 2-step verification—we expect it may take up to 15 minutes to enroll. A user-friendly set-up wizard will guide you through the process, including setting up a backup phone and creating backup codes in case you lose access to your primary phone. Once you enable 2-step verification, you'll see an extra page that prompts you for a code when you sign in to your account. After entering your password, Google will call you with the code, send you an SMS message or give you the choice to generate the code for yourself using a mobile application on your Android, BlackBerry or iPhone device. The choice is up to you. When you enter this code after correctly submitting your password we'll have a pretty good idea that the person signing in is actually you. It's an extra step, but it's one that significantly improves the security of your Google Account because it requires the powerful combination of both something you know—your username and password—and something that only you should have—your phone. A hacker would need access to both of these factors to gain access to your account. If you like, you can always choose a "Remember verification for this computer for 30 days" option, and you won't need to re-enter a code for another 30 days. You can also set up one-time application-specific passwords to sign in to your account from non-browser based applications that are designed to only ask for a password, and cannot prompt for the code. Update Dec 7, 2011: Updated the screenshots in this post.